Meldi Hotel is located in the beautiful village of Kalkan in the province of Antalya in southern Turkey. The hotel is 500 metres (a ten minute walk or short taxi ride) to the centre of the village where shops and restaurants are plentiful. It is about 750 m (a 15 minute walk) to the Kalkan harbour where you can swim at the local public beach or pick up a boat tour. 30 rooms are available at Meldi. All rooms are tastefully furnished and fully air conditioned. Each of them has its own private balcony and bathroom. 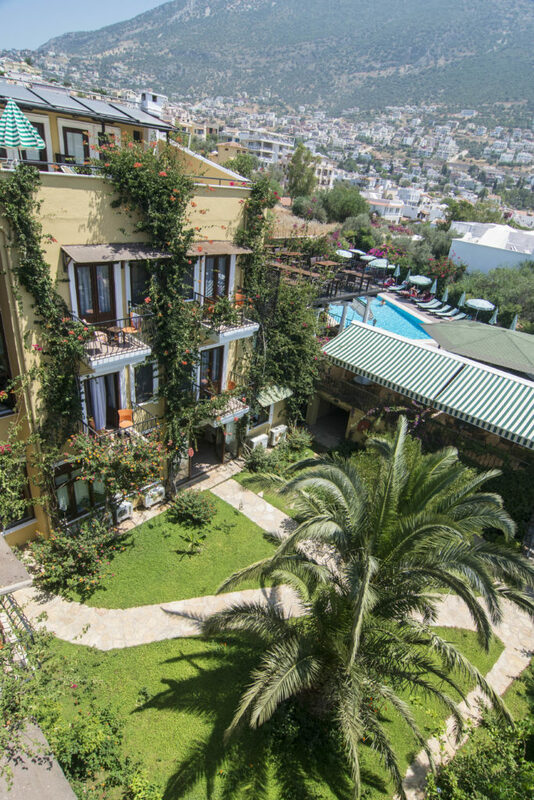 For the new summer season Meldi Hotel in Kalkan, Turkey is determent to provide its customers with an up-graded and highest quality of personalized services. In order to facilitate this commitment and escape the limitations imposed upon us by travel companies, we are inviting you to book with our hotel directly for the new season. * Transfer from / to Dalaman airport (transfer time 1.30 hours) included in room price with more than 7 nights stay. Transfers from Antalya Airport (transfer time 3 hours) can be provided for an additional charge.